Yesterday I had a three-mini-Snickers morning. 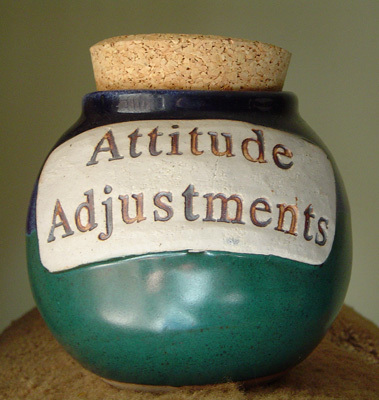 You can always tell my current stress level by the number of trips I make to the Attitude Adjustments jar where the candy resides. Yeah, yeah â€“ I know. The â€œexpertsâ€ say youâ€™re not supposed to stress eat. But as a proud Candy Addict I feel itâ€™s my duty to ignore that kind of crazy talk. As I licked the last bit of chocolate from my fingers, it got me to thinking. Whatâ€™s the best stress relief candy out there? I have several personal favorites that I use for different purposes. Here are 3 of my top stress relievers along with the particular ills they help cure. Bit Oâ€™ Honey: When I have one of those problems thatâ€™s going to take a long time to work through, a Bit Oâ€™ Honey is the ticket. These last forever, so I can just keep chewing away at one piece as I gnaw away at the problem Iâ€™m solving. I get my frustrations out with all the chomping, while the honey flavor sweetens my disposition. A Bit Oâ€™ Honey is also good for keeping my mouth too full to put my foot in it. 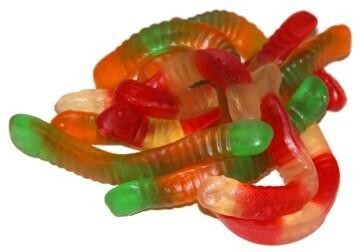 Gummi Bears and Gummi Worms: Say I have a very unladylike urge to wring someoneâ€™s neck. I address that need with a gummi candy. I can squish it, stretch it, tear it and before I know it Iâ€™ve gotten out my aggression and Iâ€™m just playing. By the way, to get the most out of your gummi worm origami attempts, read our article on the breaking point of gummi worms. In cases where Iâ€™m seriously pissed off, I am so sorry to admit that I enjoy biting the heads off the gummi bears. I swear, itâ€™s very therapeutic, not to mention tasty. Chocolate: Chocolate is a main food group in my universe. Whether my headâ€™s about to explode or Iâ€™m just wearing my cranky pants, thereâ€™s a type of chocolate that can fix any problem. I donâ€™t need much. In fact, small pieces are better because they just seem more fun to eat. I always keep some sort of chocolate on hand, just in case. Of course I have other stress relief remedies, but these are some of the most reliable. One of the best things about being a Candy Addict is that I get to sweeten my disposition â€“ literally â€“ on a regular basis. Just the thought of all that yummy candy is enough to make me smile. What about you? What are your stress relief candies? Leave a comment and let us know! I don’t normally use more than just chocolate as my number one stress reliever (could explain the need for new jeans, but I digress…). But now that you mention it, no matter what kind of mood I’m in, for some reason butterscotch disks make the world seem rosy again. Why are those little buggers so hard to find these days? Okay, middle of the winter when it seems like it will never end – cold, gray day – cup of hot tea – good book – a blanket – and chocolate covered pretzels!! (Good ones) Ahhhh! for the same reasons you turn to Bit O Honey, i turn to Nips. Bit o honey is a good one though – i might try that as well! 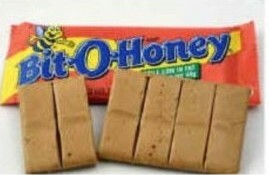 I like Snickers because they’re pretty filling, and I just discovered how awesome Bit O’ Honey is. I have no idea where it’s been all my life. Omg! Where did you get that jar? I soo need one of those! What a great post! You hit it right on the nail! I never thought of candy being such a good stress reliever but the ones you picked are perfect. I am going to have to go out and keep a stok of each in my pantry to meet my many moods! Awesome pics! So creepy goodness! That jar is really really cute, i’d love to get that jar in my room. All those brainy and creepy candies look terrifingly GREAT! Great job with the posting and especially LoVe the chocolates, they’re my life and my life only in my life TEHE. To good, i just drool just looking at it! Wow, ok, later all ! This is really amazing yo! ALL PEOPLES COME VISIT MY PAGE AND MY NUMBER #1 BEST CANDY PAGE OF BEST CANDY IN THE WORLD MY OFFICAL PAGE WOOT! COME CHECK IT OUT AND ITS THE FIRST ONE ON DISCUSSIONS HAVE FUUUNN AND REMEMBER: ITS NEVER TO LATE TO EAT CANDY! Fun post. Chocolate still is my favorite “go-to” candy for stress relief. 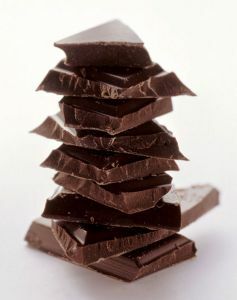 Dark chocolate works better than milk, if only because it has less sugar and I feel less guilt about eating it!